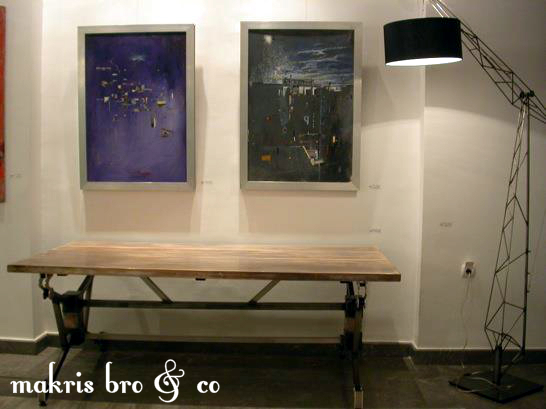 The workshop Makris bro and co is the creative space where the brothers John and Christos Makris inspired, design and manufacture handmade products of low production and limited edition. 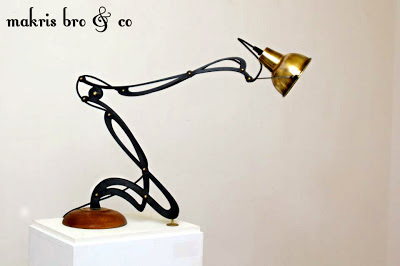 The workshop was created in 2000 when the two brothers decided to deal, in addition to designing objects, and the construction and experimentation with a variety of materials and styles, mined through sculpture, Art Nouveau and art in general. 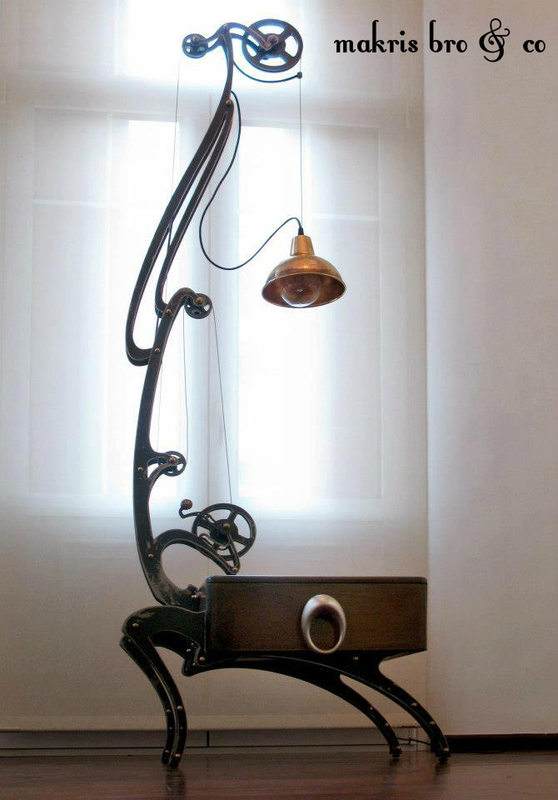 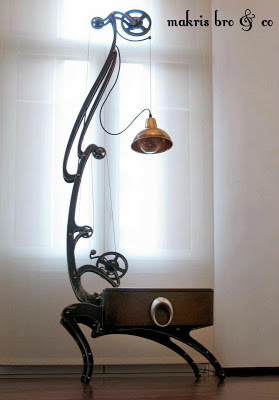 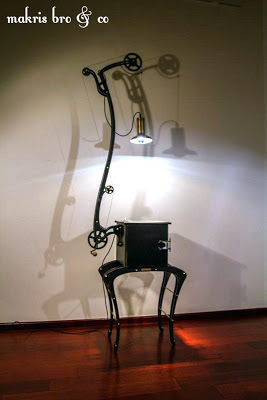 The furniture and fixtures that Makris brothers desigh and construct, are implemented with sculptural values ​​with references to style and organic forms of Art Nouveau, maintaining their obsession with the materiality they use hot materials such as wood, and cold like glass, aluminum and bronze. 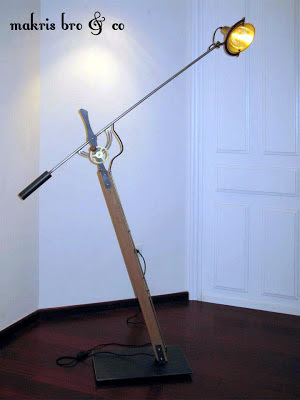 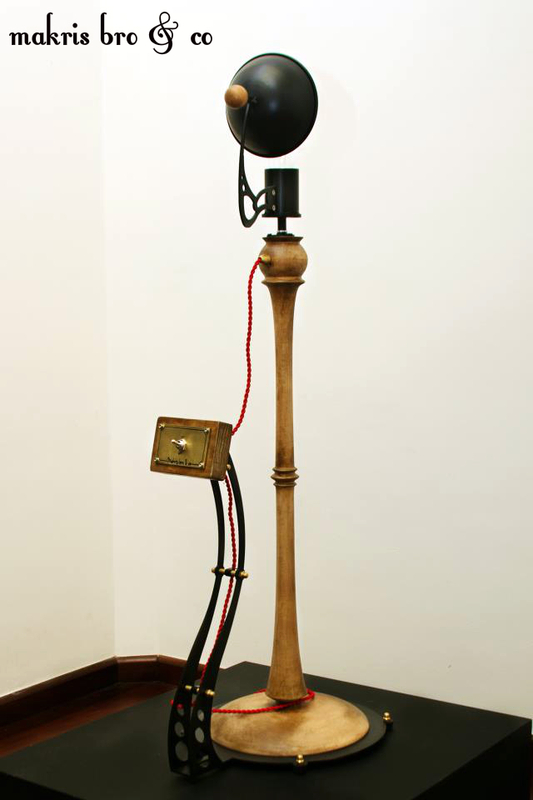 The creations of Makris brothers with the balance between form and function are related to the logic of sculpture since it is a limited production design that leverages not only the potential of using high quality materials but also the experimental design,that is allowed by the small production creating objects that embody the values of handmade. 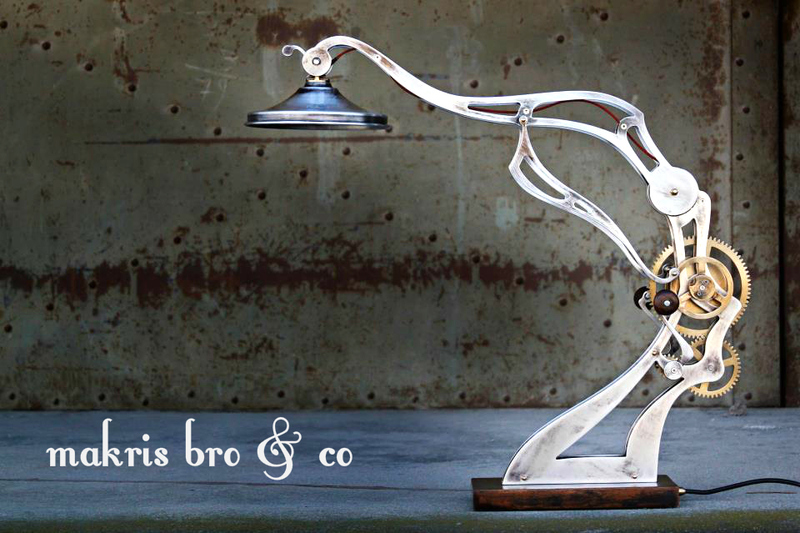 Aside from their individual projects, Makris Bro & Co collaborate with architects and professional designers and manufacture furniture, lamps and other household objects. From 2000 onwards, their work has been exhibited in Thessaloniki in the XV Biennale of Mediterranean Youth, 2011. 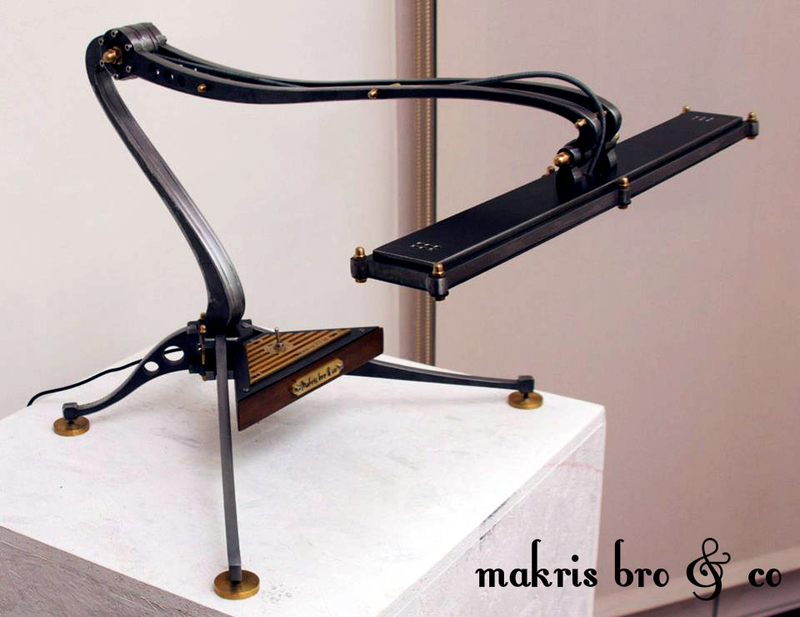 Makris Bro & Co have many paricipations in industrial design exhibitions in Greece and abroad, while since 2010 they maintain a cooperation with m.a.d. gallery in Switzerland..
Ioannis Makris is a designer, sculptor and painter, Christos Makris is an electronic and cnc programmer. 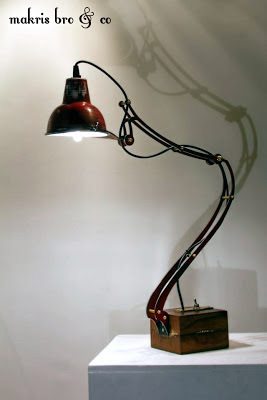 To be honest i can't give more than 100£, but if i could i would prefer to buy a unique designer lamp than a mass produce designer lamp. 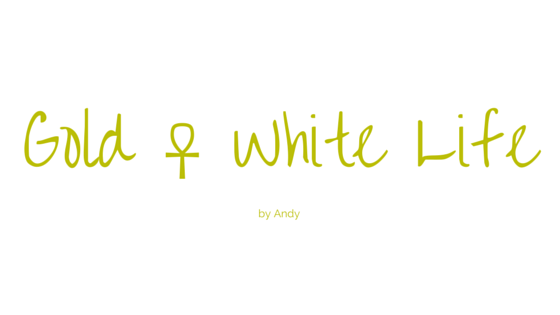 Because it's all about style and not fashion or trends.